In the opening to Bleak House, Dickens did much to immortalise the city which is a setting for all his work, and whose image has been defined by him. The city is a dense labyrinth, beset by mud, fog, and rain; it is corrupt and unequal, home to a teeming mass of humanity living in both the gutter and the drawing room. But what of the many other Londons, both the very real, and those in the imagination? The following list is an attempt to explore some of the best alternative voices and visions from (roughly) the last 100 years of this city which seems in a constant state of mutation and rebirth. 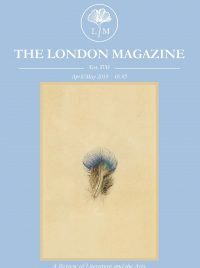 Sam Selvon’s novel begins in a way that reminds us of Bleak House but it encompasses a phenomenon unknown to Dickens: the Windrush generation of Caribbean immigrants who had fought for Britain in World War 2 and were now settling in the former colonial power in search of new opportunities. 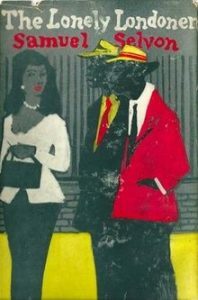 In what could be considered one of the first wave of Anglo-Carribean post-colonial writing (along with George Lamming’s 1954 novel The Emigrants), Selvon’s novel shows both the lonely diaspora of trying to build a life in a new country (particularly one that gave the Caribbean people an initial welcome that could be at best described as frosty), while also beautifully exploring how people find refuge in new communities and friendships. Using non-standard English littered with expressions from creole, Selvon evokes the efforts of migrants to recreate their former communities as well as the confusion of settling in a new city whose established residents were often hostile to them. A large cast of characters revolves around Moses Aloetta, homesick and a failure, but host to ‘the boys’ who gather every week to tell stories of their lives, of seeking work, hanging around, and chasing girls. 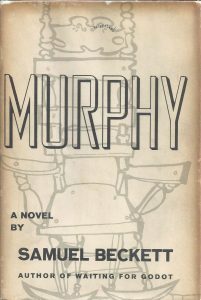 One of Beckett’s earlier works, Murphy is another novel by a former colonial subject who immigrated to the city. Murphy, a ‘seedy solipsist’, anticipates Beckett’s better known heroes like Willie in Happy Days and Malone in Malone Dies. He is a work-shy wanderer, a down-and-out living in a mew in 1930s West Brompton, who takes to tying himself naked to a rocking-chair with seven scarves, able to make ‘only the most local movements’. But unlike those later works, Murphy is replete with ‘demented particulars’, naming streets, landmarks, shops, institutions, in an effort to satirise empiricism by an overwhelming use of detail. One section takes us on a walk from Edith Grove to Cremorne Road by way of Chelsea Embankment, in a route that is detailed enough to be followed to this day, although you won’t meet Murphy himself at the end of it! 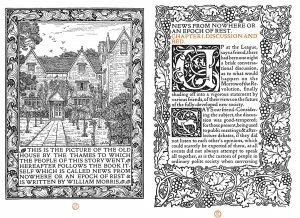 Blurring proto-science fiction with utopian idealism, William Morris creates a sort of communist version of the Rip Van Winkle story, where protagonist William Guest falls asleep after a meeting at the Socialist League, to wake up in an agrarian, pastoral landscape which he soon discovers to be a post-revolution Hammersmith, but hundreds of years in the future. After confusing a boatman early on by making an offer of money for a journey, the novel consists mainly of Guest being taught about the history of the revolution by those that help him in the new world, where there is a democratic control over the means of production, and altruism rather than competitive capitalism fuels the world of work. 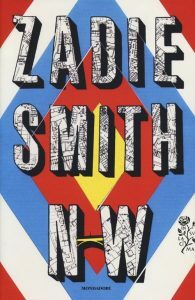 Smith tries to do for North West London what Joyce did for Dublin. She uses a variety of modernist techniques and tricks to tell the intertwining stories of Leah, Felix and Natalie all of whom are from an estate in Caldwell. The first is a philosophy graduate who has hit the glass ceiling and is working unsatisfied in an office, teased as the only white woman there, while Natalie her childhood friend is a successful barrister conducting a series of clandestine affairs. Felix, setting out from NW6 to W1 in order to inspect a derelict sports car, appears the most relaxed of the three even though, as a poor Caribbean, he has the most precarious existence, and it is his which is the tragic fate. 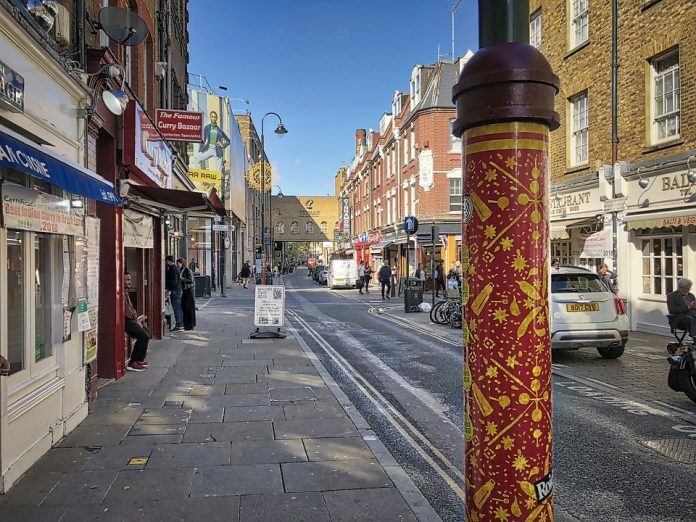 Smith’s London is a tissue of multicultural detail, home to ‘Polish, Indian, African, Caribbean’ families, the streets possessing the ‘sweet stink of the hookah, couscous, kebab, exhaust fumes of a bus deadlock’. By telling it through the voice of three protagonists with common origins but very different subsequent lives, she puts race and class centre stage in a way that modern residents of the city won’t be able to help but recognise. 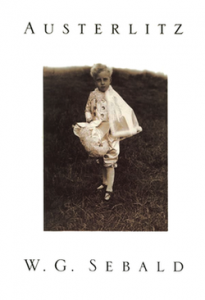 Contemporary London is the location for the opening of Sebald’s last novel, but the book is by no means limited to the city of today, roving through European history as Jacques Austerlitz recounts his childhood and obsessions to the impassive narrator. They meet several times over the course of thirty years, in Antwerp, Bloomsbury and for the last time in the bar of the Great Eastern Hotel at Liverpool Street Station, where any traveler will have seen the Kindertransport statue. This is a hint as to Austerlitz’s origins, which are shrouded in mystery at the start of the novel. He is an Oxford educated historian specializing in European architecture and working on a vast and unfinishable study. Gradually as the details of his past and parents’ fate are revealed the novel turns into a melancholy and unsettling examination of grief and history. Although the book ranges far from London, its structure which overlays personal and public memories, mind and place, shows that a city is more than just the buildings making it up. In fact it is a residue of the experiences of its inhabitants. 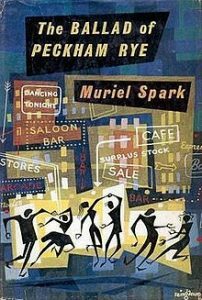 Muriel Spark is of course associated mainly with Edinburgh, but she too wrote a fantastic London novel. Douglas Dougal is the protagonist, a force of nature who manipulates, persuades, cajoles, and intimidates his way around Peckham in a variety of odd jobs where he never needs to work too hard. His real goal is ‘human research’ on the ‘moral character’ of the locals, but what he means by this is no detached observation. He plays them off against one another, resulting in a ruined marriage, a murder and his landlady having a stroke. This is the first novel on this list with a trace of the supernatural, as Dougal may be an incarnation of the devil or a witch. He has the ability to shape-shift and there are two lumps on his head where his horns have been removed. This overlooked novel is a blackly comic satire of London’s morals and self-image. 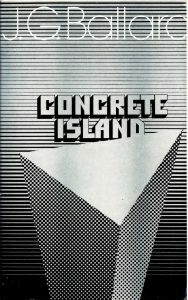 Another fantastical evocation of the city is Ballard’s 1974 novel about an architect, Robert Maitland, who crashes his Jaguar on the Westway Interchange and is stranded on ‘a small traffic island, some two hundred yards long and triangular in shape, that lay in the waste ground between three converging motorway routes’. Although there isn’t a trace of the supernatural here, Ballard’s surreal 20th century version of Robinson Crusoe presents a version of the city where someone can survive on a patch of grassland strewn with wreckages, while being prevented from returning to civilization by two of its most powerful emblems: the motorway and the car. Less disturbing than some of Ballard’s other work from this period, it nevertheless explores his usual obsessions: car crashes, the feral beneath a veneer of civility, and the ways in which perversion finds strange avenues of expression in hyper-connected modernity.